Afghan and Iraqi soldiers and interpreters earned eligibility for U.S. visas after risking being prioritized and murdered by terrorists to serve U.S. forces. The process for the Special Immigrant Visa and Direct Access Program can take years, however, and many interpreters and their families are killed while waiting for their applications to be processed. Between the two programs, there is a backlog of over 60,000 eligible applicants. Caravans of illegal Central American migrants amass at the U.S.-Mexico border, garnering support among U.S. politicians and advocacy groups for their demands for asylum and jobs. Over 60,000 Afghan and Iraqi interpreters risked death to serve U.S. forces, but still wait amid lethal danger for the American visas they’ve earned — all while migrants caravaning along California’s border demand immediate entrance based merely on their desire for jobs. Afghan and Iraqi men who aid U.S. military forces as soldiers and translators do so at the risk of assault and murder from the radical Islamic terrorists who wage war in their respective countries. The silver lining? Aside from the chance to help fight for a better future for their homelands, Afghans who serve U.S. service members as well as cultural guides, translators and brothers in arms qualify for the Special Immigrant Visa (SIV) program, through which they can gain U.S. citizenship. Iraqi interpreters can also apply through the Direct Access Program (DAP). The SIV program is arduous, however, often requiring interpreters to run lethal risks to themselves and their family members over a period of years simply to go through what the interpreters and U.S. service members alike say is an opaque and tedious application process. Miervaldis served at Afghanistan’s national security court on the outskirts of Bagram Airfield from 2011 to 2012. He and his fellow service members helped develop a system used to this day to prosecute members of the Taliban, Al Qaeda and other groups under Afghan law. 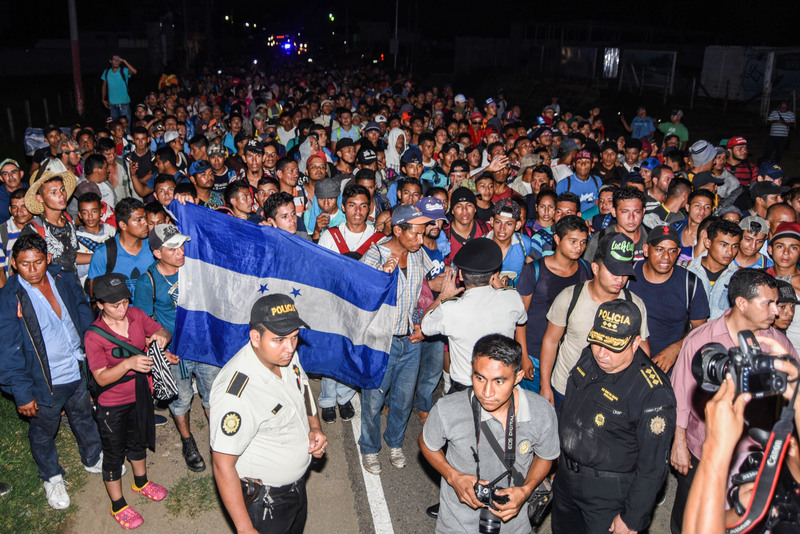 Miervaldis’ view of the migrant caravan is shared among interpreters who have or are waiting to enter the U.S. and start new lives with their families, according to GOP Rep.-elect Mike Waltz of Florida. Waltz, a former Green Beret, served several combat tours in both Iraq and Afghanistan, earning four Bronze Stars, two of which he was awarded for valor. He also sponsored two Afghan soldiers through the SIV program and helped them gain U.S. visas. One would be hard pressed to find anyone more incensed over the support for the migrant caravans’ demands, Waltz said, than interpreters who have gone through the SIV program. “I don’t think you’ll find people more angry about illegal immigration or people skipping ahead in line than folks who have played by the rules — than legal immigrants who have played by the rules — who have done everything that was asked of them, who oftentimes waited for years,” Waltz told TheDCNF. “Especially in the case of the special immigrant visa applicants, [who] literally are under the threat of death, beheading, their family being killed or harmed — and they go through all of that to come here, and then to see folks jumping ahead or not playing by the rules is really upsetting to them,” Waltz added. 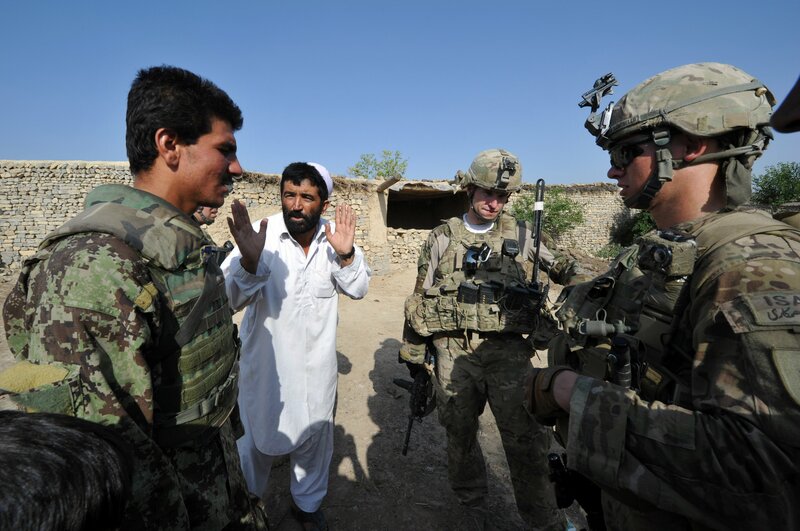 Interpreters serve an integral role to U.S. operations in Afghanistan and Iraq, doing far more than the title of “interpreter” implies. 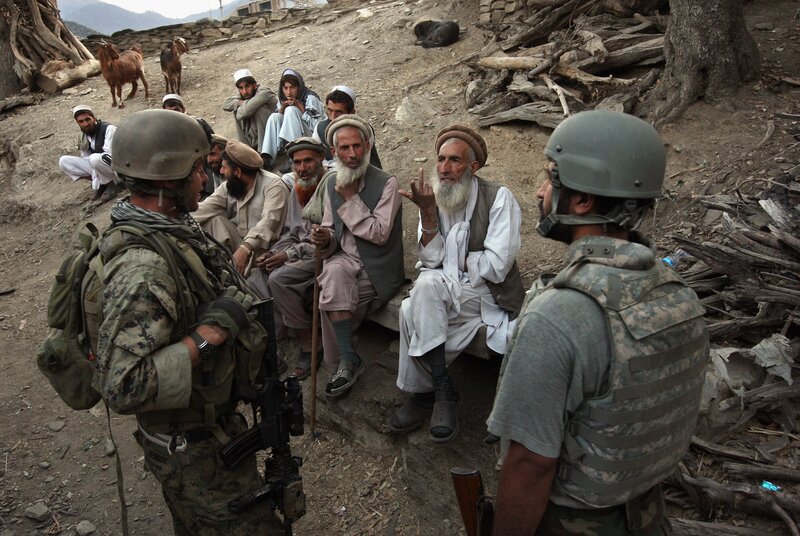 They served as a window to the communities among which the U.S. military operated, helping U.S. forces to navigate cultural boundaries and customs, to distinguish between friend and foe, and to forge relationships with locals, and to communicate with allied Afghan forces — a fact that insurgent groups like the Taliban know all too well. “The Taliban … they are trying to shoot the translator first, because if they kill the translator, there is no communication between the U.S. forces and Afghan forces,” former Afghan translator Janis Shinwari told No One Left Behind. 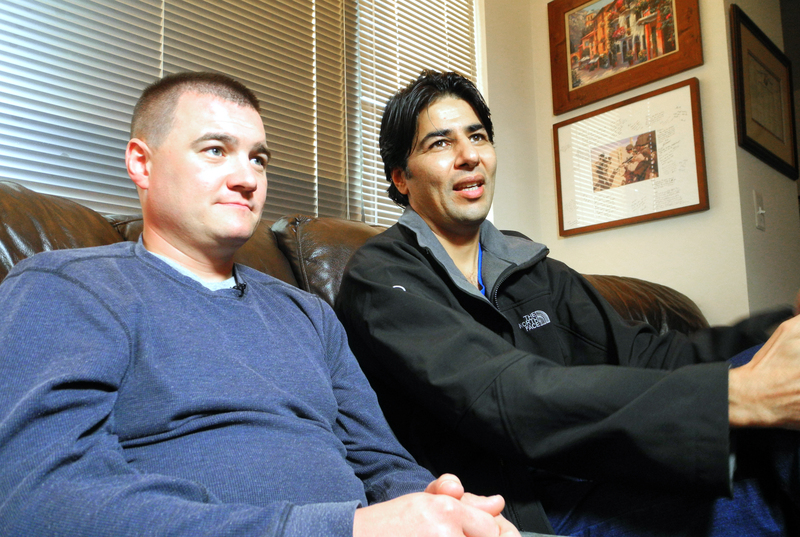 It took Janis two years to get his visa through the SIV program. “It’s really hard to wait two years to get your visa, because each minute of your life you will think somebody will kill you,” Janis said. Miervaldis personally sponsored the translator he worked with through the SIV program — a process that, for him, took three years. Miervaldis said that not even a certificate of appreciation from the U.S. ambassador helped his interpreter’s SIV application. He personally worked with members of Congress to hound the State Department every six months about where his interpreter’s application stood. “From the time I engaged Congress to his acceptance, it took one year making it 3 years in total,” Miervaldis said. Most interpreters tell their family and friends that they are working for an international nongovernmental organization (NGO), for fear that terrorist groups would hunt them down if they got word that an interpreter was aiding U.S. forces. The SIV process can take anywhere from one to 10 years for interpreters — time that increases the likelihood of being hunted down by local insurgent groups. Waltz worked with an interpreter in 2005 and 2006 who, years later, was followed from a U.S. military to his home. Terrorists dragged him and his family members outside their house and beheaded them for working with U.S. forces. Miervaldis also spoke to the dangers that beset interpreters. One interpreter he worked with was assaulted and received death threats. Instances of execution, torture and assault are unfortunately common for interpreters. The Iraqi Refugee Assistance Project estimated in 2014 that one Afghan is killed every 36 hours due to their affiliation with U.S. forces. The threat of such a death remains when interpreters apply for visas through the SIV program, especially if they live in a remote region in Afghanistan. The application process entails multiple interviews with the State Department in Kabul, which makes for a treacherous journey for those who must travel through Taliban held areas with their identifying documents to make it to the interviews. Currently, there is a backlog of approximately 16,700 Afghans eligible for SIV, including both interpreters and their families, and a backlog of nearly 60,000 Iraqis eligible for the DAP. Despite Afghan and Iraqi interpreters’ service to the U.S. and the risks to life and limb that they faced, politicians like Democratic Rep. Beto O’Rourke of Texas and Democratic Rep.-elect Alexandria Ocasio-Cortez of New York and advocacy groups promoted the cause of the migrants who beset the U.S.-Mexico border, to the point of demonizing U.S. Border Patrol. Ocasio-Cortez even compared the plight of the migrants, who have demanded either entrance and jobs or simply to be paid to leave, to that of Jews who fled the Holocaust. Despite reports that the caravans consist of women and children, eyewitness accounts characterize it more as a steady flow of young men looking for work — men that Keith Bowden, who authored “The Tecate Journals” and interviewed several members of the caravan, characterized as “punks” who he wouldn’t even trust to do lawn work. “There is an insolence about them. … I think they were worthless in Honduras. They’re going to be worthless in Mexico. They’re going to be worthless wherever they end up,” Bowden said, according to The Weekly Standard. The interpreters who apply for the SIV program, by contrast, have not only demonstrated service, leadership and commitment to American values, but are also some of the most educated among their communities, according to Waltz. Many are teachers or professors, everyday civilians, who can speak multiple languages and who chose to take up arms to fight for the chance for their daughters and wives to live in a world where they are allowed to be educated, to protect their sons, and at times to defend the U.S. soldiers with whom they work.